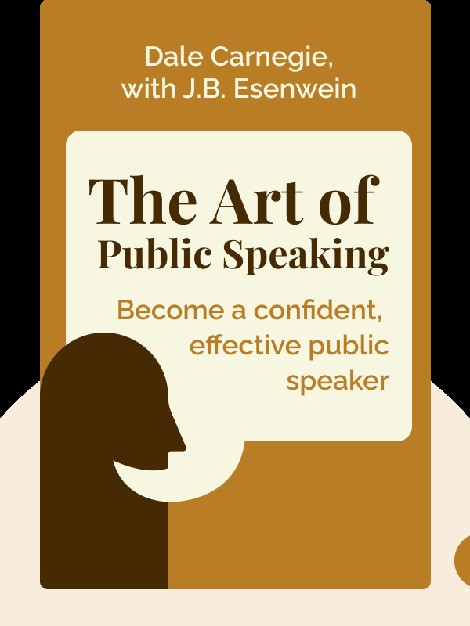 The Art of Public Speaking (1915) remains one of the most popular and widely-read guides to making effective public speeches. Its approachable language and applicable tips have been turning would-be speech-givers into master orators for more than a century. 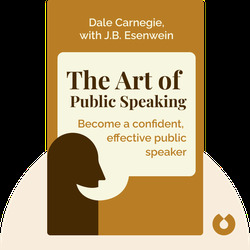 An American writer and lecturer, Dale Carnegie was a master of public speaking. He dedicated his career to improving the lives and abilities of his many readers and listeners. His other books include How to Win Friends and Influence People and How to Enjoy Your Life and Your Job. J.B. Esenwein was an American academic and writer. He served as editor for multiple US publications and taught English at Pennsylvania Military College.